Oxford may well be famous for its splendid university colleges and beautiful old buildings, but it does also boast a series of appealing gardens and small parks. If you only have time to check out one horticultural attraction during your visit, then the Oxford Botanic Garden is the place to come. 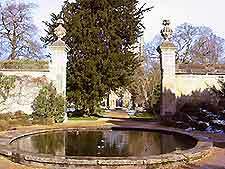 Located on the far eastern side of the High Street and next to the River Cherwell, the garden began its life in the early part of the 17th century and although only relatively small, covering roughly 4.5 acres / 2 hectares, it manages to boast a huge quantity of plants and many important collections. One of the Botanic Garden's most renowned visitors was Charles Lutwidge Dodgson, a mathematics professor at Oxford University who later became known as Lewis Carroll and famously drew much inspiration for his classic children's novel 'Alice's Adventures in Wonderland'. Another university professor and famous author, J. R. R. Tolkein (of The Hobbitt / Lord of the Rings fame) also spent much time here. 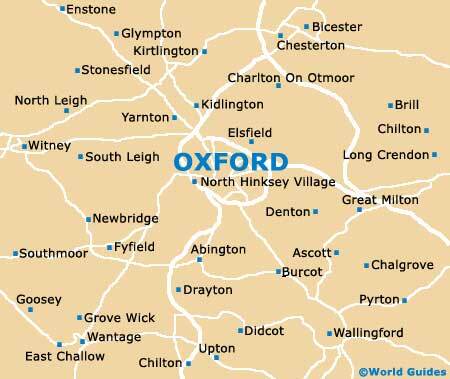 Oxford's splendid centrally located Botanic Garden is bounded by the High Street and Rose Lane, where it is home to more than 8,000 different plants from all over the world. The Botanic Garden has many large, important and unusual plant collections, as well as formal landscaping, mature trees and shrubs, flower borders and clearly labelled plant specimens. Consisting of three separate areas, visitors will be able to explore a number of glasshouses filled with many tropical and exotic plants, a walled garden, water features, a large rockery, a fernery, an orchid house, a tropical lily house, a conservatory, herbaceous borders, seating areas and a gift shop. One of the oldest of its kind in the United Kingdom, these historic gardens date back to the late-18th century and are within easy walking distance of the city centre. The nearby Magdalen Tower provide a pleasant backdrop through the trees. Located in the central St. Aldates area, Christ Church Meadow is a peaceful expanse of green based within the heart of the city, lying in between the River Isis and the River Cherwell. Amongst the principal attractions are walking trails, mature trees and shrubs, large expanses of grass suitable for riverside picnics, a herd of Long-Horn Cattle, wild flowers and a wealth of local wildlife. The War Memorial Garden resides within the St. Aldates area and dates back to the early 20th century. Commemorating all of the people from the city who lost their lives in World War I, this is a truly tranquil spot. 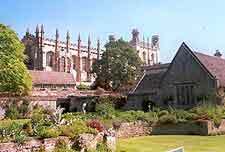 There are many seating areas, flower borders and shrubs, while nearby is the Christ Church College. South Park can be found on the southern side of Oxford, within the Headington district. Featuring spectacular views of the surrounding area, South Park features large expanses of grass suitable for sports, picnics and walking. Other highlights include numerous well-supported seasonal events and festivals.